For applications where a lower cost low profile XY stage with good performance is required, the Series 29000 offers a compact design with those characteristics. 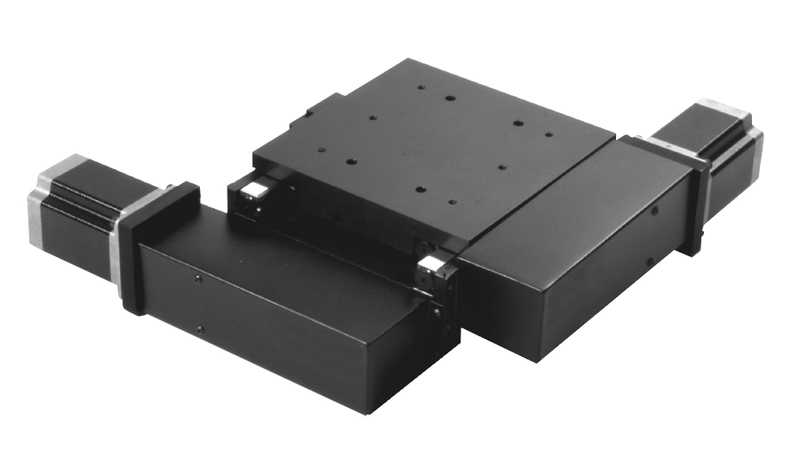 Using ground ballscrews or optional leadscrews for economy, this compact XY stage is available in 50x50, 100x100 or 150x150 travels. Stepping motors are standard but servo motors are optional. Crossed roller bearings are used for good stability, within an economical design. Limit and Datum switches are optional. A linear encoder with integral Limit and Datum switch function can be optionally fitted.